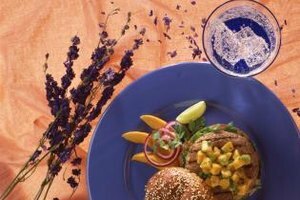 Sweet papaya relish complements the flavors of smoked hamburgers. Adventurous barbecue enthusiasts are exploring new avenues, smoking a variety of foods that were typically destined for the grill, such as hamburgers. Smoking involves cooking food at low temperatures, using indirect heat from smoldering wood to produce tender meat infused with smoky flavors. Fire up your smoker next time hamburgers are on the menu to create moist, juicy patties infused with a savory smoke flavor that you just can't get from grilling. Preheat your smoker to 300 degrees Fahrenheit. Combine ground beef with desired seasonings and form into patties. Add a few sprinkles of seasonings such as salt and pepper, onion and garlic powder, chili powder and dry ranch-style seasoning, to taste. 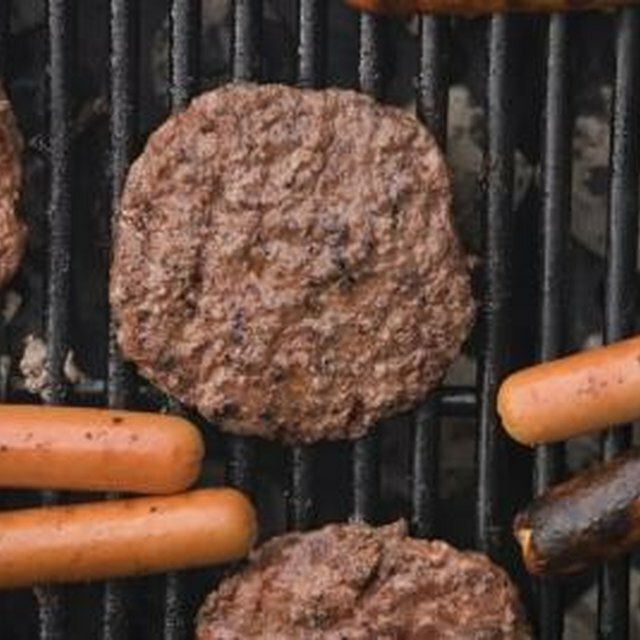 Arrange the burger patties in a single layer in a shallow aluminum pan and place it in the smoker. Smoke the patties for 15 minutes to achieve a medium-rare doneness and up to 30 minutes for medium-well. Remove the hamburger patties from the smoker once desired doneness has been reached. If you'd like to add a nice crust to your patties, sear them in a skillet for three minutes on each side in a few pats of butter. Serve hamburgers immediately with your favorite condiments. Many different kinds of smokers exist, so consult your owner's manual and familiarize yourself with your model before you cook. Turn your three-burner gas grill into a smoker by placing an aluminum pan full of pre-soaked wood chips and another pan half-filled with water directly on the flavor bars or lava rocks, located underneath the grill grates. Position the wood chips near the back and the water pan near the front of the grill. Light only the burner nearest the wood chips and smoke the hamburger patties over the pan of water, which serves as the indirect heat source. The U.S. Department of Agriculture and Food Safety recommends cooking raw ground beef to an internal temperature of 160 F to destroy any bacteria that may be present. Insert a meat thermometer into the center of the burger to accurately determine doneness.